Tyler Herro is a 5-foot-11 guard for Wisconsin United. Herro has really arms and legs at this point. He will grow into his body as time goes on. Once he does that, he is going to be a much better athlete. Herro already has good feet for his body. He is going to be a good athlete down the road. Herro shot a fantastic 16 for 34 from three-point range this past weekend. That was over just four games, but that is a great percentage for a middle school player. Not many players his age can shoot like that of 34 attempts, but it was fantastic that Herro shot that well this week. Scoring almost 16 points per game is something that puts Herro near the top of the list for points per game. His outside shooting is elite for his age group and Herro has the ability to shoot off the dribble or off the catch. Herro is not just a shooter though. He is also a very good decision maker off the dribble. He creates opportunities for teammates with his play making ability. Herro does not risk turnovers with his playmaking. He takes the safe play. Despite Herro's play making ability, he averaged less than one turnover per game. Once Herro grows into his body, he is going to be an impressive prospect. There is no doubt that he will be a player with his length and skill. He averaged over 15 points per game against fantastic competition this last weekend. 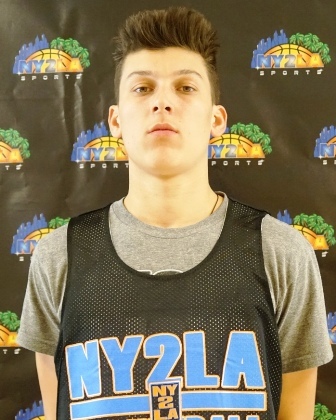 The future for Tyler Herro is bright with his skill level.